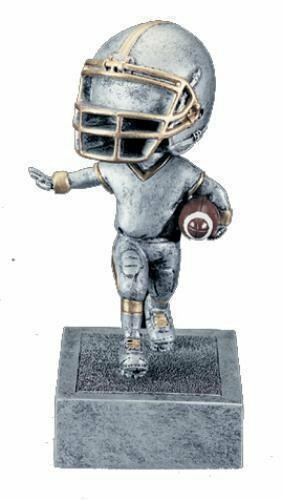 Football Shooting Star Resin. 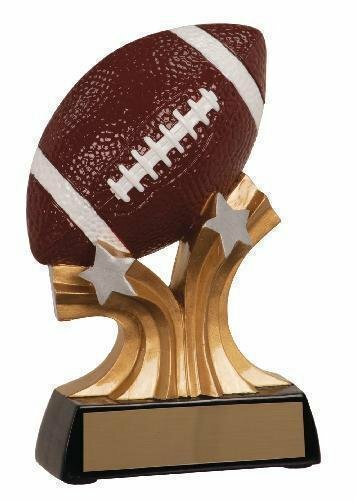 A fun and lively resin trophy with a football resting on shooting stars. 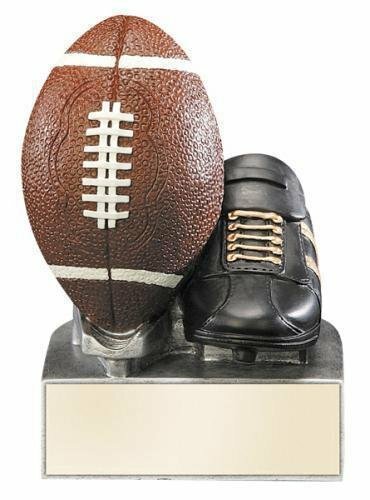 The Little Pals Football Trophy has a brushed gold laser engraved plate with black letters. 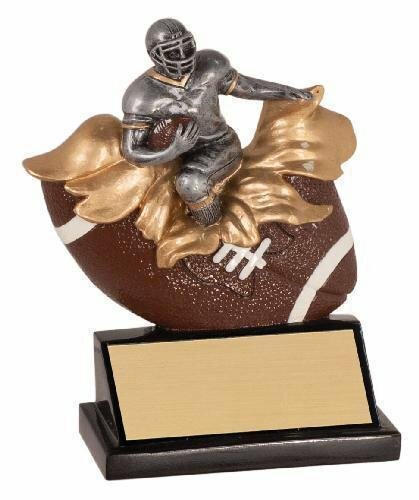 This little football award is an adorable inexpensive trophy. 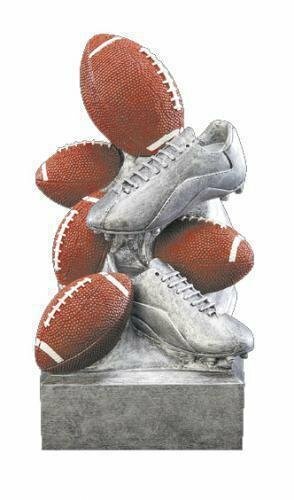 Male Football Explosion Resin won't actually explode, but will definitely catch your eye with the unique explosion effect. 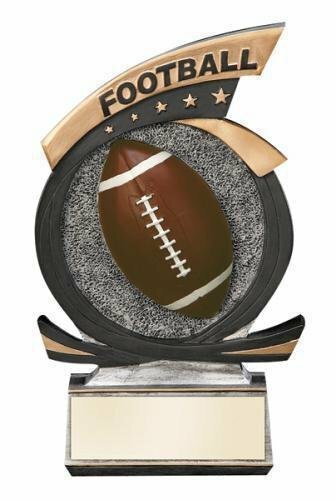 This Centurion Football Trophy gives you two options for your award needs. 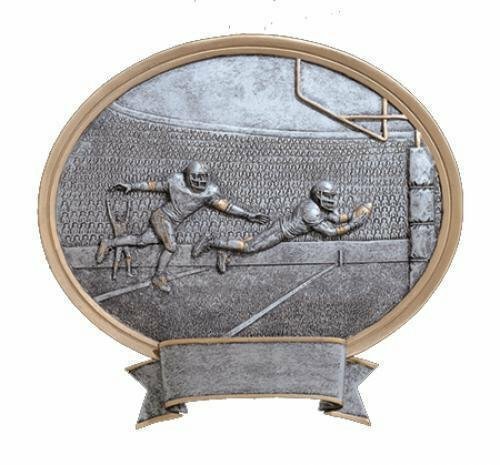 Both of the awards showcase football icons of a helmet, football, goal post, and field. 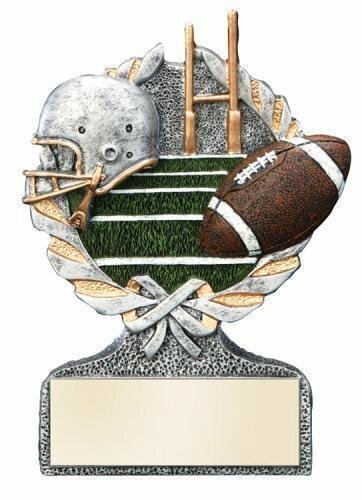 You can either chose the gold and pewter finish where the gold highlights different elements within the award or the full color version with the goal post in a gold, helmet in silver with gold highlights, the brown football detailed with white stitching against a green field including white yardage markings in the background complete the look. A wreath with a bow at the bottom bring the entire award together. 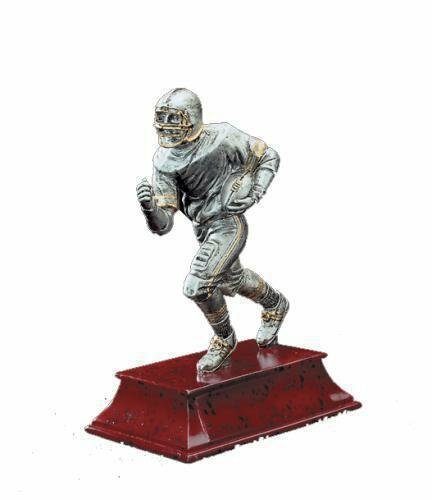 Standing 5" tall with plenty of room on the base for your engraving needs is sure to make either choice a touchdown.